A visit to the NewActon precinct benefits from a bit of planning. 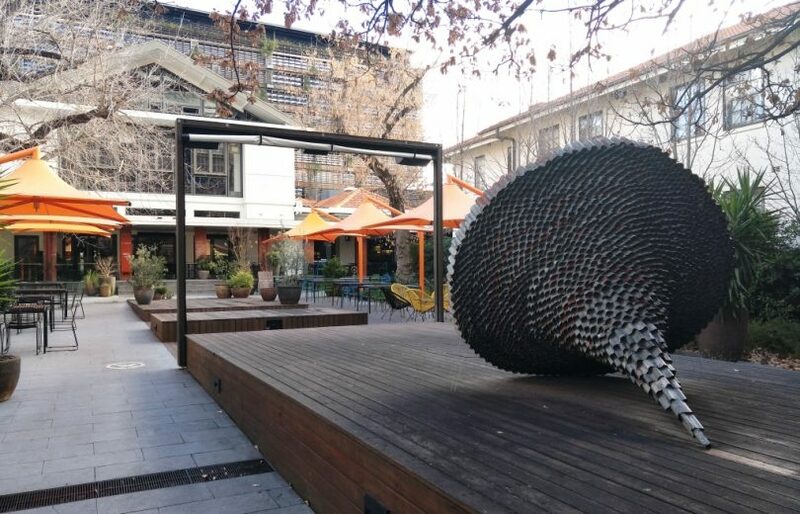 The precinct has practically achieved ‘national treasure’ status and among other things, it is a must-visit location for contemporary award-winning architecture. It is also great for hipster-spotting, and everywhere you turn there is really interesting public art. 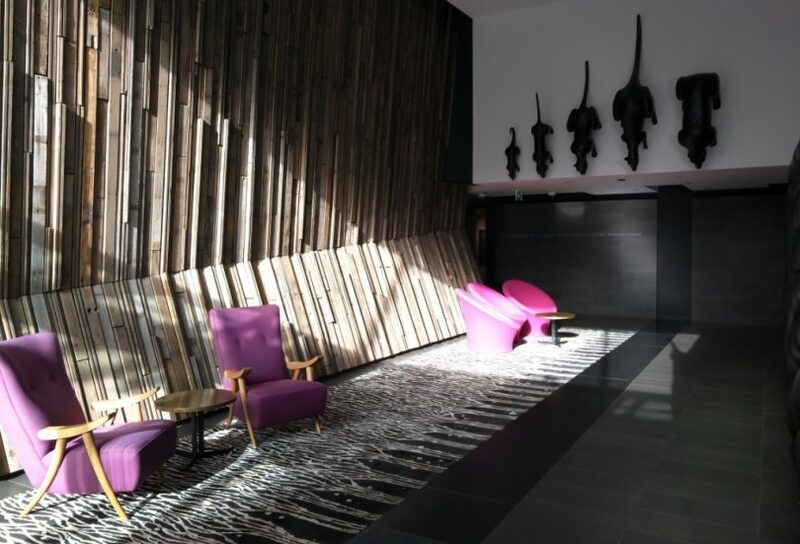 I always have to remind myself to leave time to see what is new at the Nishi Gallery, and what just might have ‘popped up’ in the foyer of Hotel Hotel. With a number of highly regarded restaurants and cafes, I feel spoilt for choice: where I am going to have coffee, or lunch, a pre-cinema snack, or dinner with a view? My destination this visit is Bicicletta, part of Peppers Hotel. I like it particularly for its relaxed international cafe-style decor: its low light level makes it particularly for comfortable for dining any time of day. 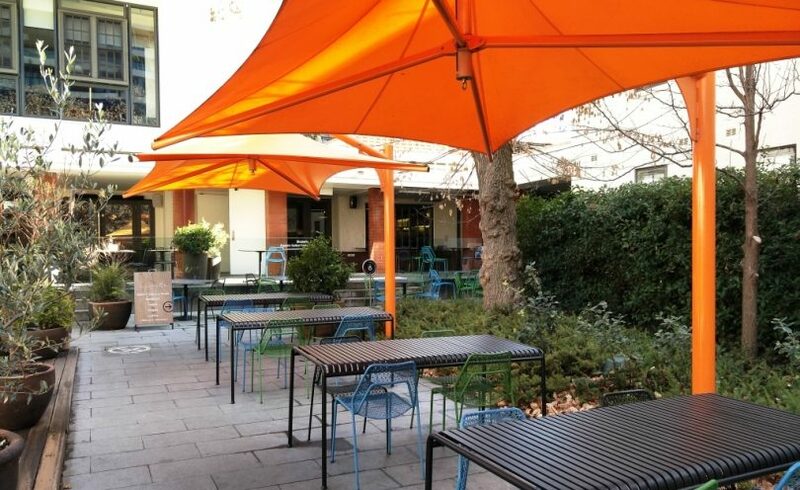 With the added benefit of shaded courtyard seating on warm days, it is tried and true. I’ve had really good breakfasts and coffee with interstate friends and early evening, pre-cinema pizza and pasta. With an extended authentic Italian menu for dinner, Bicicletta is busy and bookings are essential to avoid queues. The day I visited for a pre-cinema lunch, Bicicletta was laidback although pretty busy. The clientele was mostly men in suits; an office birthday party; some well-dressed tourists; and a few couples having something before a movie over at the Palace Cinema. Certainly, anyone who wants to be in and out in an hour will have no problems, nor will those who want to linger and chat feel under pressure to move. 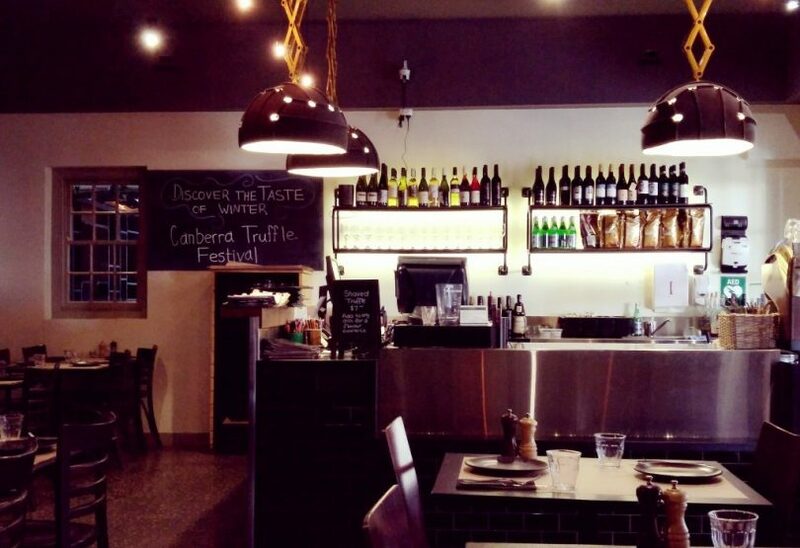 I was pleased the first thing I noticed is that Bicicletta is supporting the truffle growers of the Canberra region, with a special evening menu available. What attracted me immediately was an all-day special: truffle shaved over any dish for $7.00, including eggs at breakfast. A bottle of Helm’s Riesling ($50) from the Orange district was poured while we decided how hungry we were. 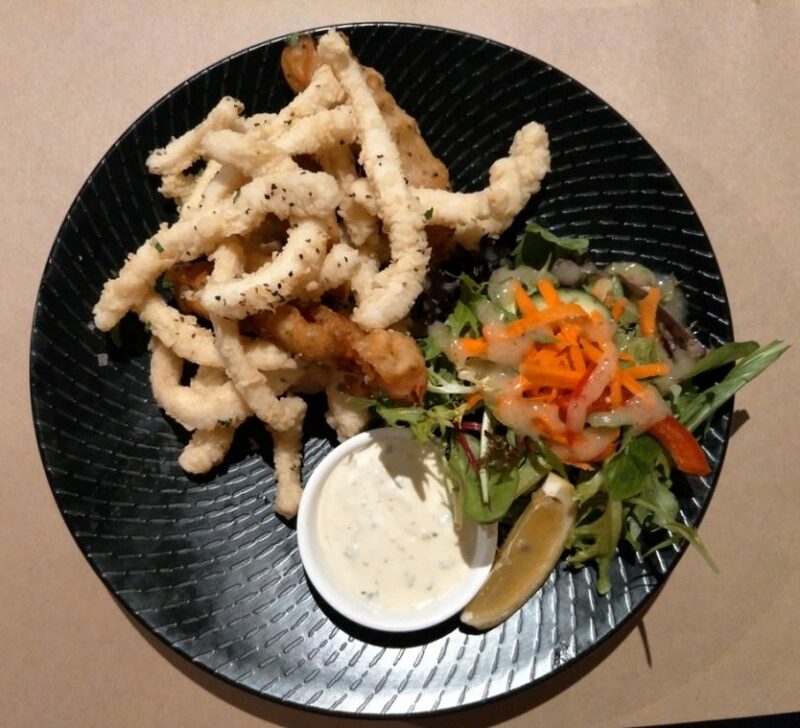 It turned out we were quite hungry: our entree of lightly fried calamari was the perfect size to share, and wonderfully tender. What I hadn’t expected and certainly livened up this old favourite, was three fried chillies. Served with a freshly made tartare mayo and a bit of salad, I could have had this as a meal on its own. For mains, I decided I just had to have shaved truffle: the Capricciosa pizza ($23.00) was the best choice as I didn’t want the subtle flavour of the truffle to be drowned out. The aromatic truffle was perfect with the double smoked ham, artichokes, and mushrooms. I thought my light shaving of truffle for an extra $7.00 went a long way and I had forgotten how thin and crisp Bicicletta’s wood-fired pizzas are, making every mouthful a delight. Our other main of Linguine al frutti mare ($28) was also very good. 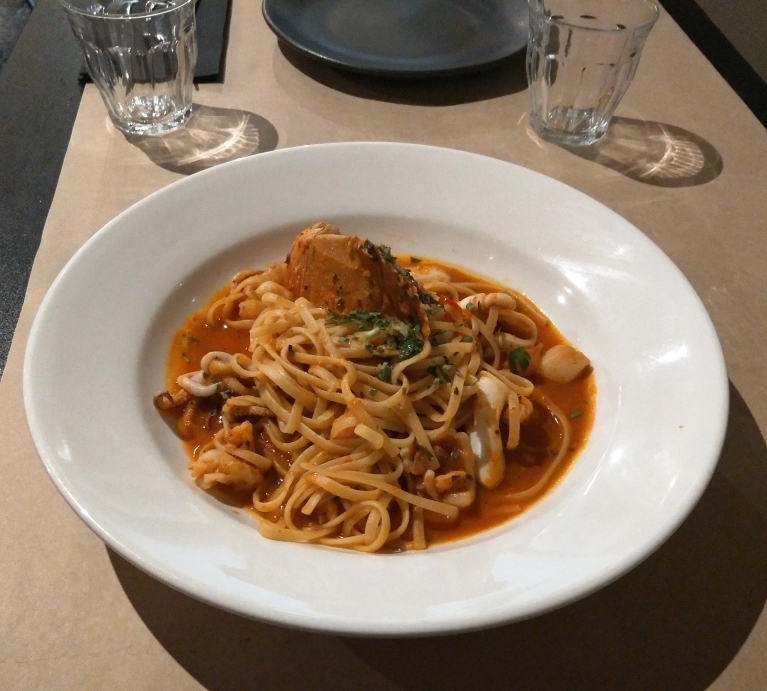 The pasta was al dente, there was a nice light taste of tomato and chilli, and the sauce included baby calamari, vongole, and prawns, with half a juicy Balmain Bug perched on top. We requested an off-menu plain green salad ($8) and it was large and fresh with a tangy dressing. 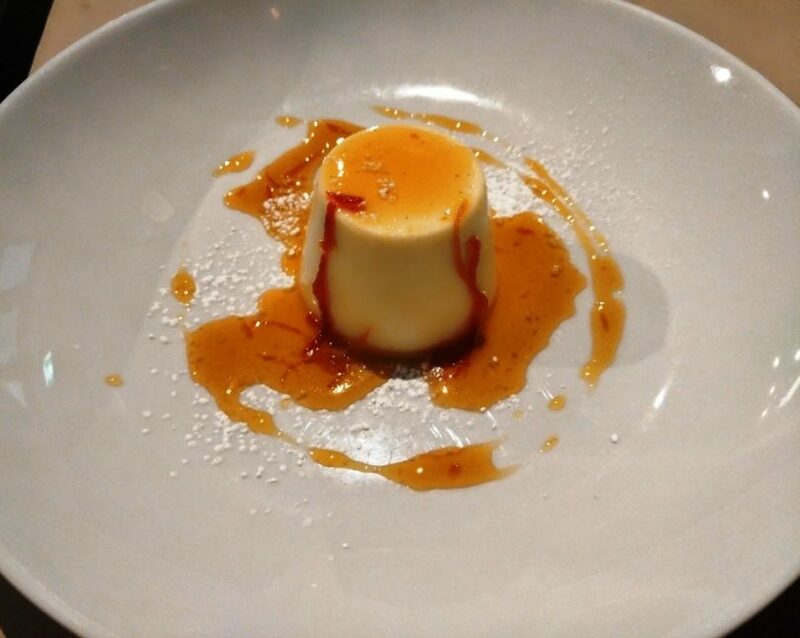 Warming to the chilli theme our meal had taken, we shared the Pannacotta alla vaniglia, a creamy vanilla bean milk custard with an orange zest and chilli glaze ($12). A great fan of chilli-flavoured chocolate, I thought this sounded very promising – and it was. I was tempted to order a second one! 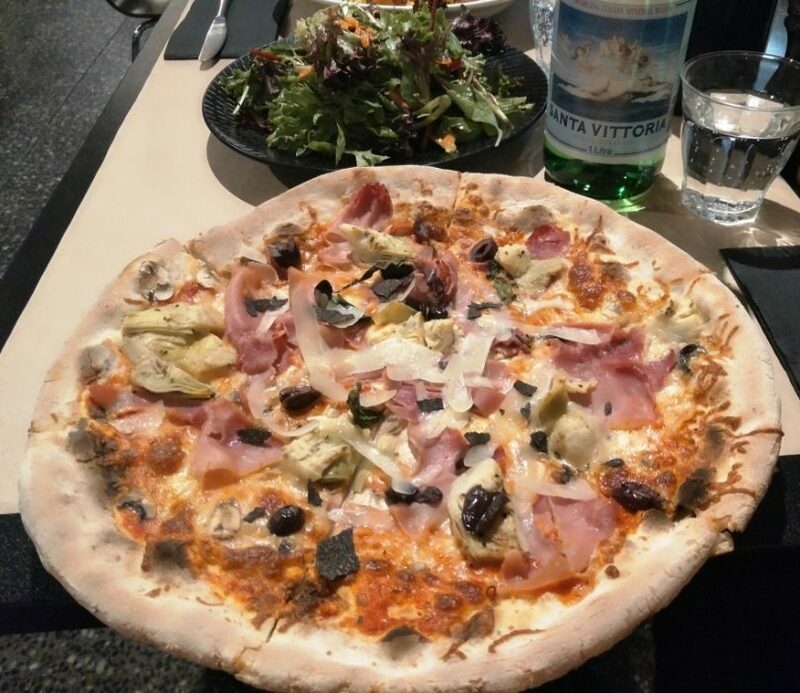 Don’t forget if you haven’t time for a full lunch, Bicicletta has an excellent takeaway option. 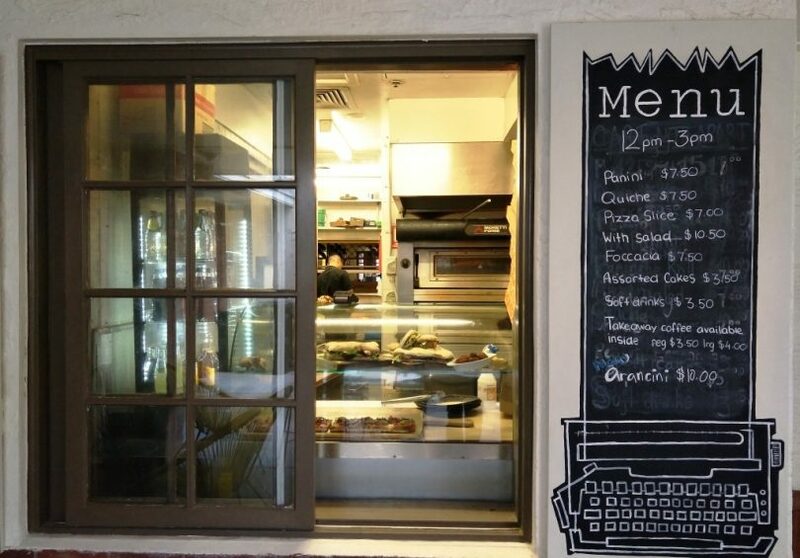 Located at the western end of the building facing Nishi, the micro-takeaway backs onto a pretty courtyard with raised beds containing herbs and plenty of places to perch to enjoy a quick snack. And if it lunch has been just a bit much, at hand is a row of biciclette to hire, with helmets, so there is no excuse not to take time out and have a bit of post-lunch exercise. 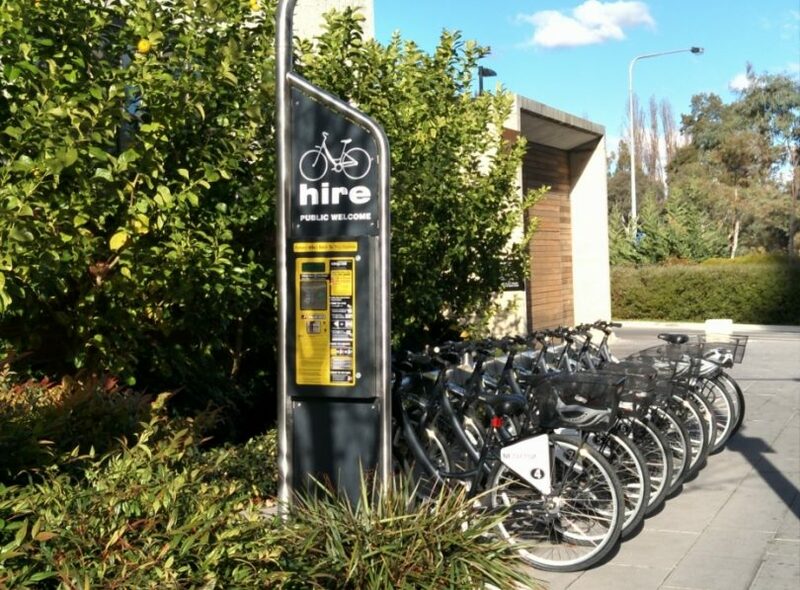 What else is there to see around NewActon? Have a walk and admire the public art, and even pop your head through the hard to miss revolving glass door of the apartment block off Kendall Lane and see one of my favourite sculptural installations of rodents, slightly disconcertingly entitled “The Waiters”. 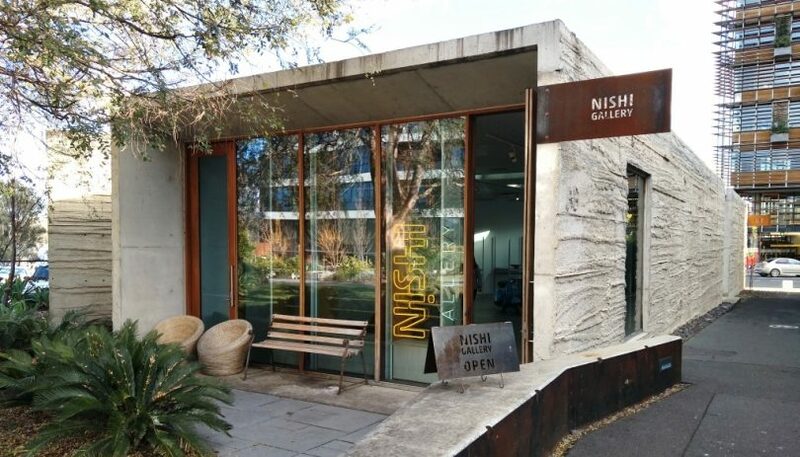 Pop into the Nishi Gallery for some cutting edge contemporary art. 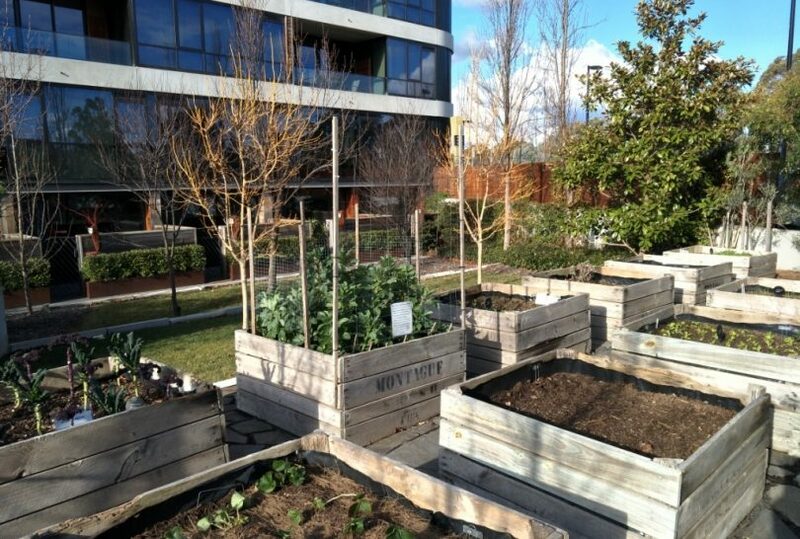 Admire the NewActon communal gardens currently providing that great hipster fodder – kale. Other winter beds feature broad beans, strawberries, and herbs. There is plenty of paid parking on the surrounding streets; behind Peppers; and underneath the Nishi Building. Weekends when the precinct is crowded, there is also the great fallback option of the parking on the other side of Parkes Way by the Lake, with access to NewActon via a pedestrian bridge. Have we reached peak use of the word “hipster” yet? And human beings travelling on bicycles as “the Lycra set”?